December 26th in Wordpress Plugins by Wordpress Jedi . In the past few years, we have covered a whole host of plugins that help you reduce your shopping cart abandonment rate. The CartBack plugin is also worth a look. It is an abandoned cart & remarketing in Facebook Messenger plugin for WooCommerce sites. It helps boost your sales with an automated chat box. The CartBack allows you to send a message to those who have added products to their carts and even encourage sales with coupons. You can display the Send to Messenger plugin anywhere on your site with a shortcode. Webmasters will also be able to see orders recovered, messages sent, and other stats. After you install the plugin, the Send to Messenger checkbox appears on your single product pages. 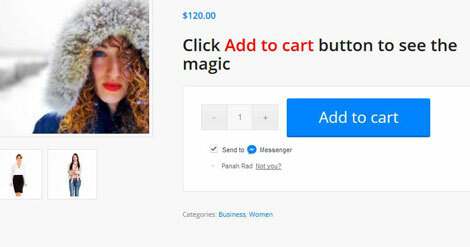 Once an item is added to a cart with that box changed, customers will get Facebook messages from your page. This function can be used to send customers reminders to complete their orders.